“FOR those of us too tight or too wise to exchange a fiver for a programme, there was a glossy handout hyping the new album, Jordan: the Comeback. Analogous reference was made to Marvin Gaye and Shakespeare. Jordan, it proclaimed, was history’s best . . . heavenly . . . songs to die for etc. The artistry of Shakespeare, the soul of Marvin Gaye and five quid for a team sheet — what a treat must be in store! 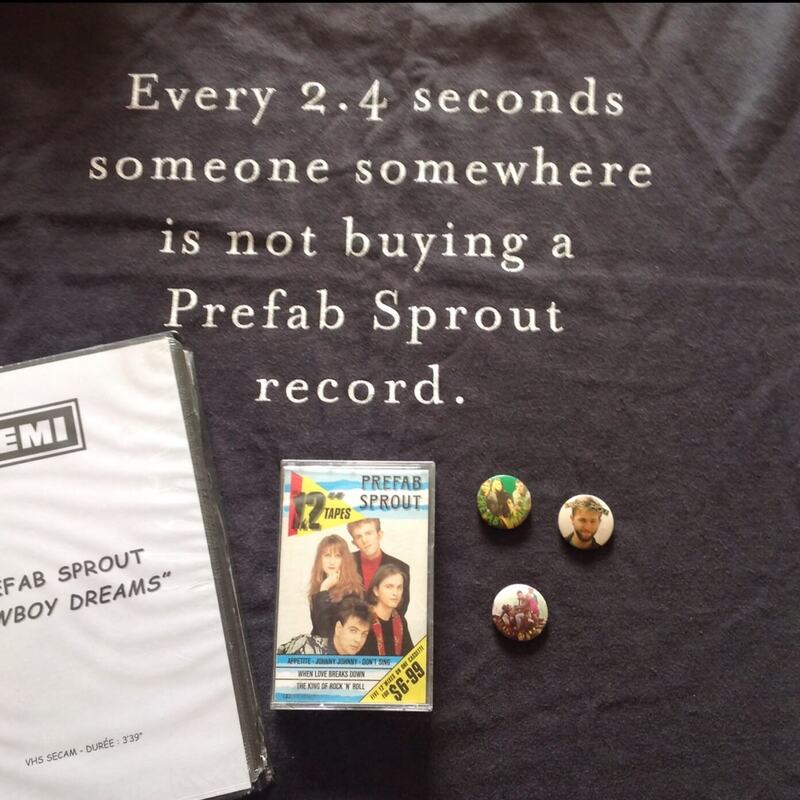 “Trouble was, the Prefabs must have been reading the same propaganda. The songs were as sweet and syncopated as any studio recording. 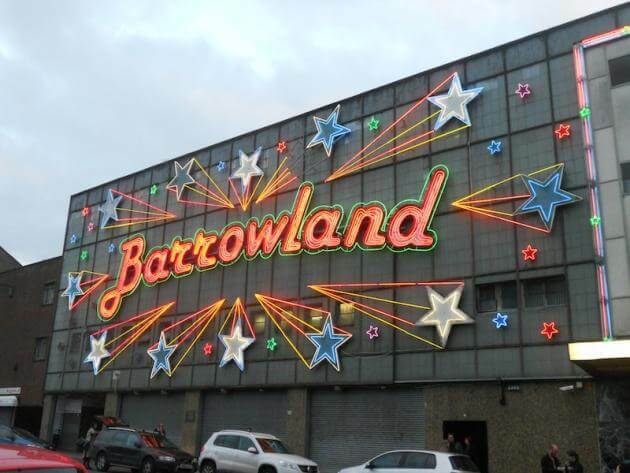 But the Barrowland is no studio and neither is it a heavenly place. It is an oversized saloon bar, latterly dedicated to the staging of rock’n’ roll shows. 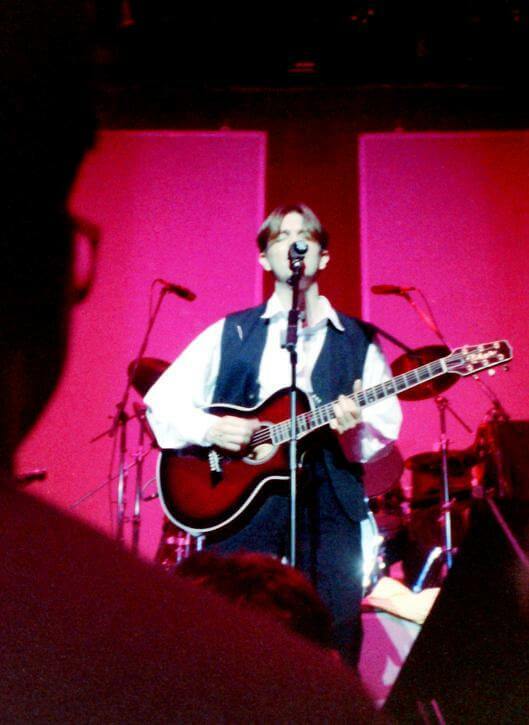 Paddy McAloon’s breathy love songs and wispy social commentary, heavenly as they are, were sadly out of place. 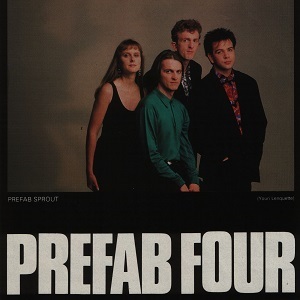 “Once, during Faron Young, Paddy leaned back, guitar on hip, right foot pumping up and down, and some of us woke up, but then it was straight back to promoting the dreamy, wistful new album and we drifted wistfully, dreamlike, back to the bar. “I am assuming the tour playlist was pretty consistant throughout venues. I don’t remember anything different or impromptu. 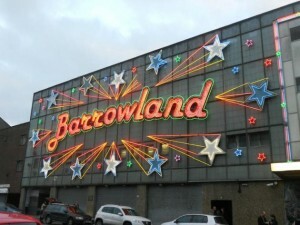 Those of you who know the Barrowlands will testify to its suberb atmosphere and quality of sound. The place was packed and holds about 1900 folk. I loved the atmospheric Michael opening (although I know there are many who aren’t keen on the song). It was an excellent rock/pop gig and the whole place was jumping/bouncing. The support act was the Trash Can Sinatras, and they were good but not brilliant. 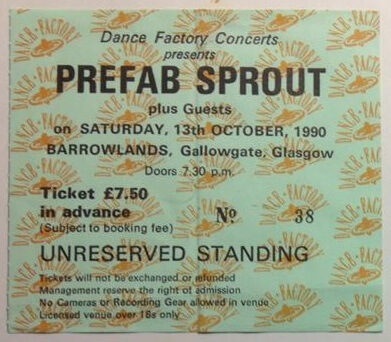 The first band I saw though were Prefab Sprout at the Barrowlands. I can remember being surprised both by the strength of Paddy Mcaloons vocals as the eerie sight of a a lot of large scary looking blokes singing along to When Love Breaks Down.